You can’t always change what’s going on around you, you do have the power to change what’s going on within you. You’re a product of your past, your environment, your interactions, and your choices. Some of these elements are within your control and many are not. No one goes through life without a scratch. You can adapt to anything life throws at you. Whether you know it or not, you are resilient. This means that you either adapt to the things you can’t control or you live with emotional pain. When you push up against circumstances that can’t be changed, you generate more painful feelings and you lament what isn’t instead of living in the reality of what is. In my work as a therapist, I have worked with countless people who aren’t happy as a result of what’s going on around them and what’s going on within them. Many of these clients were in situations that can be altered (even if they couldn’t see how to change it at the time) and once we work through their underlying conflicts, patterns and default modes, not only do they change what’s going on within them, but they change what’s going on around them. However, I’ve also worked with many clients who find themselves in circumstances that can’t be changed (such as the loss of a loved one) or people who are in situations that can’t be changed immediately – without bad consequences – such as: a horrible job they can’t yet leave until they have secured another form of income. It’s often less about changing the situation and more about how to activate your adaptation response in your mind and your body. We were built to last. Nature provides all living organisms with with the ability to adapt to extreme circumstances. 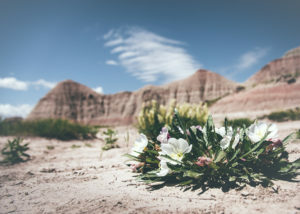 Many plants that live in the desert have extra long roots to reach water stored underground and others have complex water storage and slow-release systems so they can sustain during the driest of seasons. Plants that live in less sun-exposed areas adapt by climbing up trunks and branches of trees so they can reach the light, while other plants grow wide leaves so they can absorb as much sunlight as possible. Monkeys eat more tree bark when they have parasites, which acts as roughage and helps to clear their systems of unwelcome organisms. Humans are part of this incredible ecosystem that provides us with the ability to adapt. For example: research proves that people who are hearing impaired have a heightened ability to see better than people who aren’t hearing impaired. Likewise, people who are visually impaired have a heightened ability hear better than people who aren’t visually impaired. Even plants that have been through trauma are built to survive it (and so are you!). There are many plants and trees that have survived bushfires because of having leaves that burn rapidly. The leaves then grow back quickly, directly on the trunk of the tree, in order to restore health to the tree as quickly as possible. 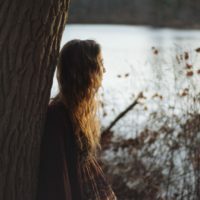 If you’ve been through trauma and you want to learn more about your auto-adaptability, read this and optionally read this about sexual trauma. When things around you are feeling overwhelming, when it feels like you’re stuck, and when life is getting you down…here are some things you can do activate your innate adaptation abilities and build your resilience. Remind yourself that you are built to last – you are and if you don’t believe me, read this. Surround yourself with people who make you feel good about you – choose only those who make space for you be you, no matter what you’re feeling! Move your body – whether it’s walking, dancing, yoga or running – being active releases feel-good feelings, positivity and hope. Use mindfulness to increase self-compassion – here’s my free recording for you. Listen to a positive, inspiring podcast – Not sure what to try? Here are a few to get you started: Louis Howe’s School of Greatness, Jonathan Field’s Good Life Project, and Krista Tippett’s On Being. Stand tall even if you feel small – increase your confidence and ground yourself by standing with a tall spine. Receptivity and openness begins in your body. It really works. Consciously breathe – a few deep inhales and slow exhales bring you to the present moment and halts the focus of past or future concerns. Self-care – stay hydrated, eat well, get 8 hours of sleep every night. Volunteer – choose an organization whose mission resonates for you. This builds self-esteem, positivity, outward focus and connection. Consider therapy or a support group – Working within a group or individually with a good professional therapist can help you cultivate your capability to access your internal resources. Join the MindBodyWise Living Room – the free, private Facebook group where you can safely share whatever is up for you, you can inspire and support others and you can learn more about yourself through embodied mindfulness and positive psychology. 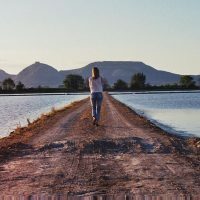 Remind yourself that you are always stronger after you fall – Think about a time when you felt like you had no way out or when things weren’t going your way…and consider how much more you now know, how much better you can navigate the world because of that experience, and how much stronger it made you. No matter what you’re going through, your body, your mind and your heart have the capacity to adapt and thrive. P.S. 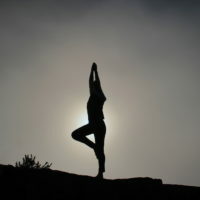 Don’t forget to get your MindBody IQ by taking this free quiz. P.P.S. If you think this blog could help someone you know, share the inspiration by forwarding it along.